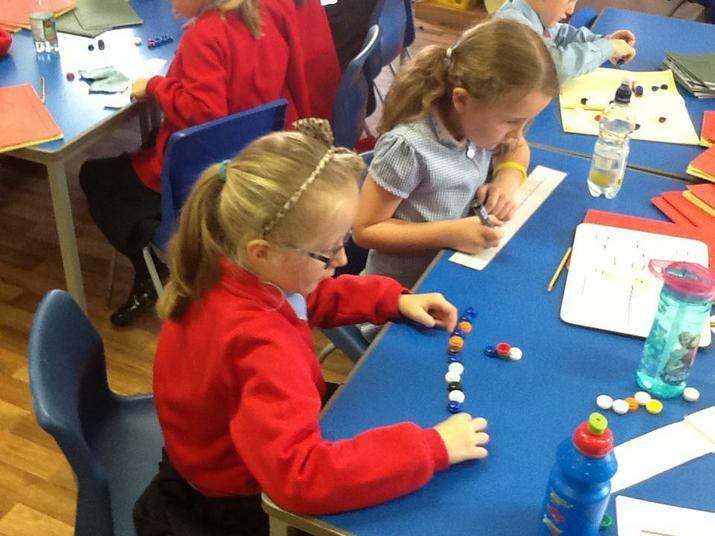 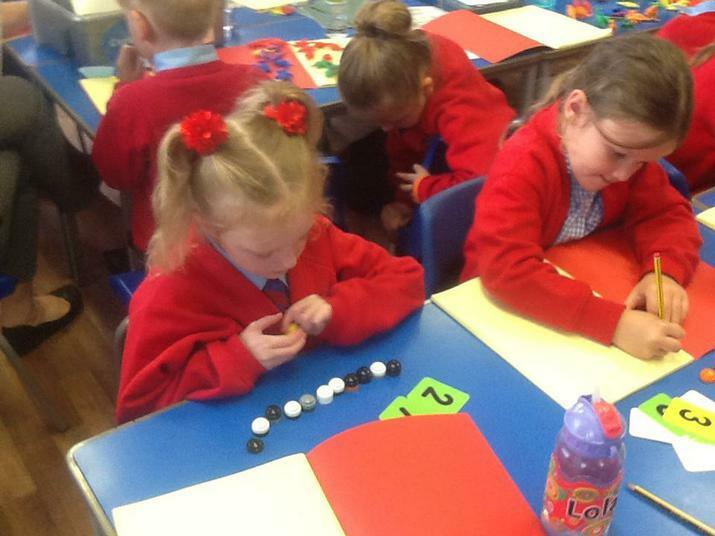 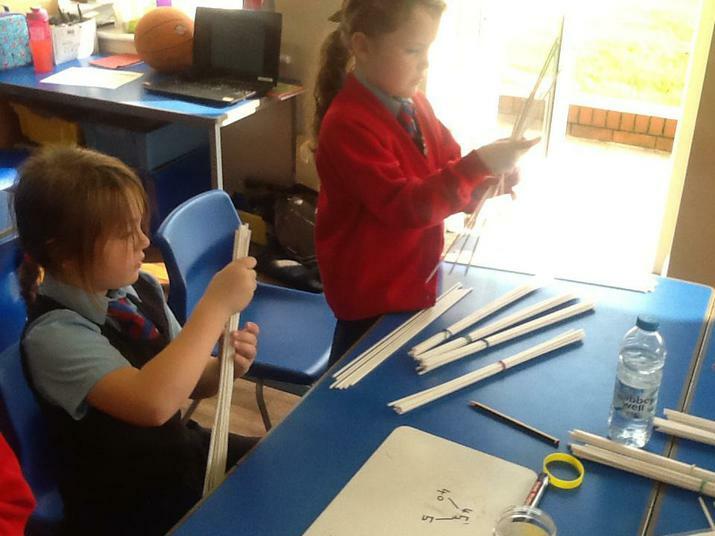 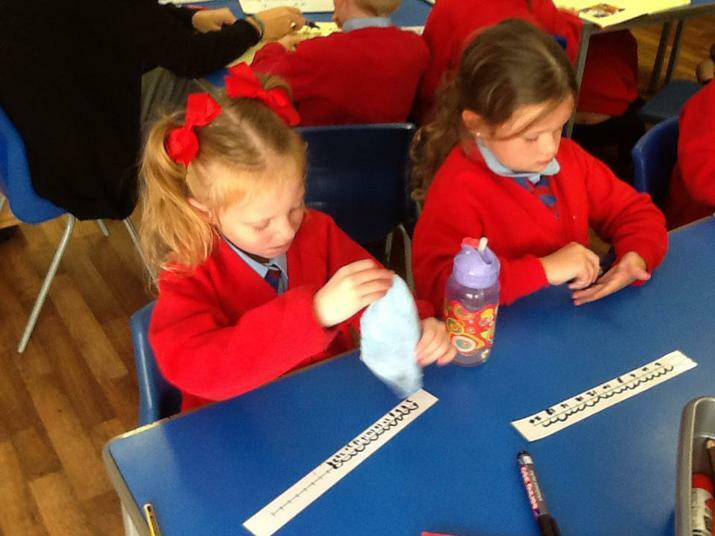 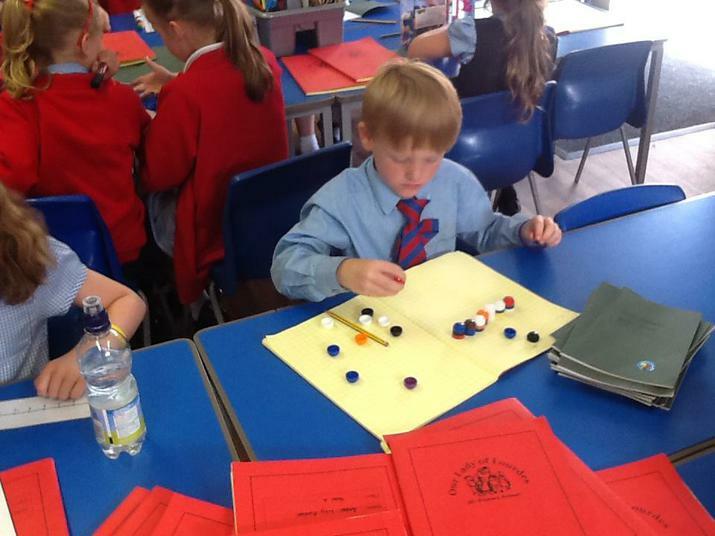 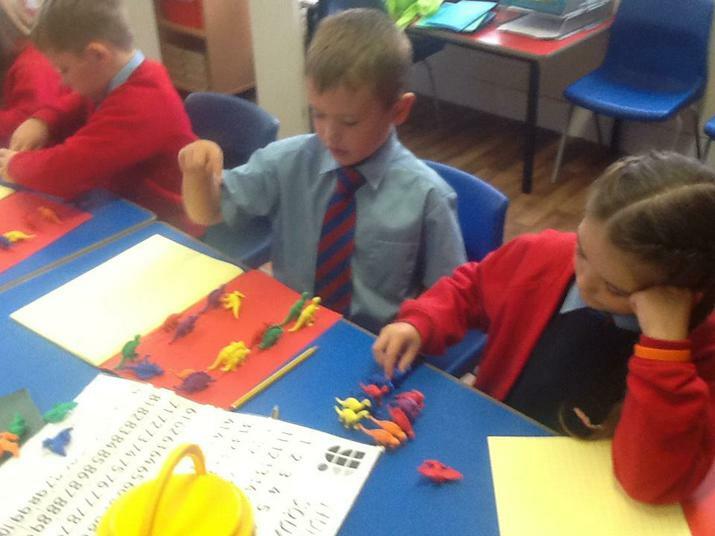 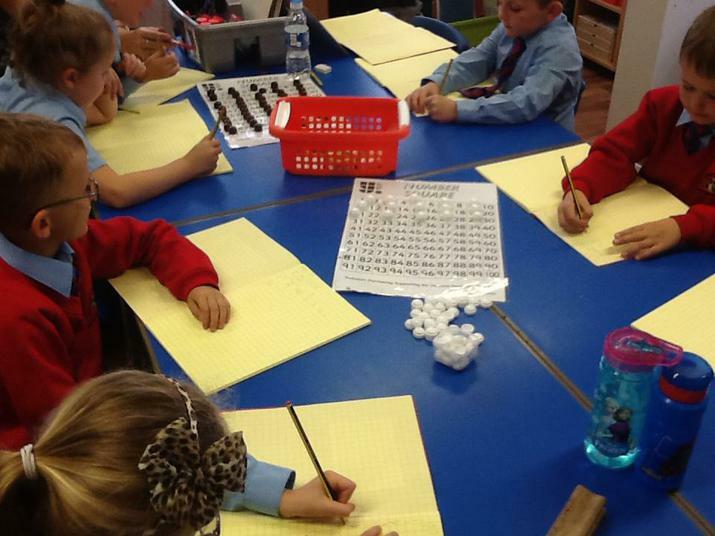 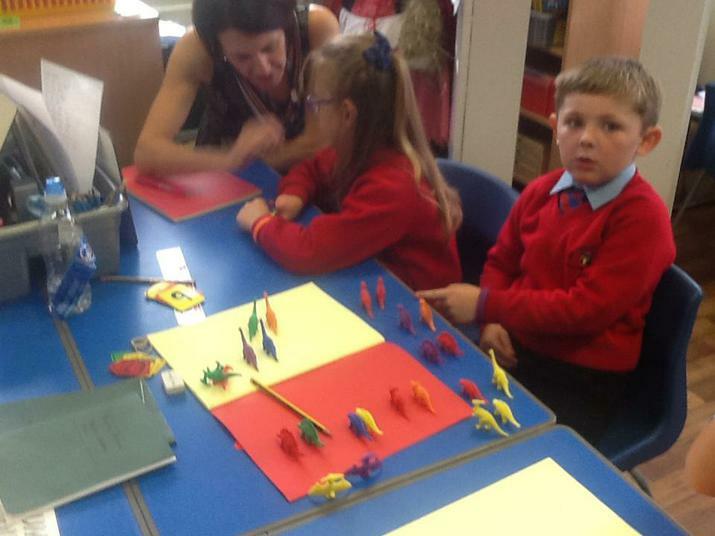 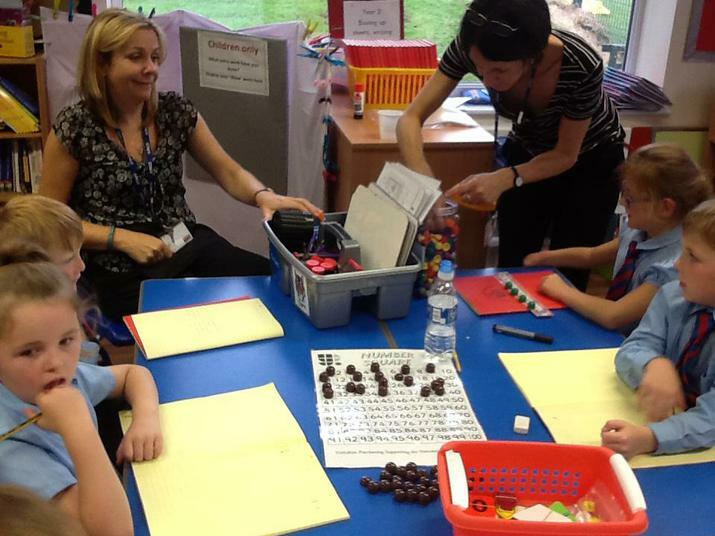 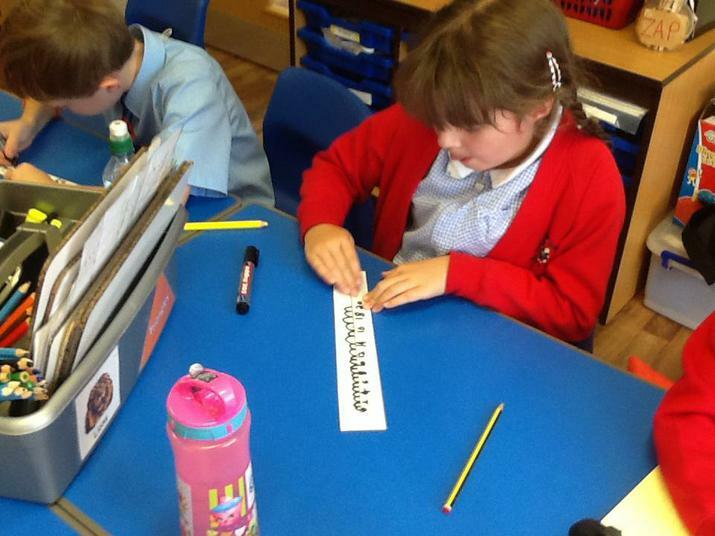 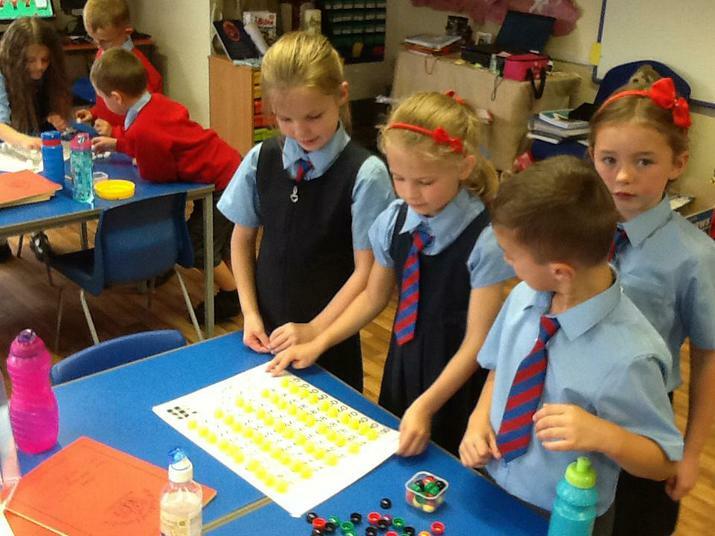 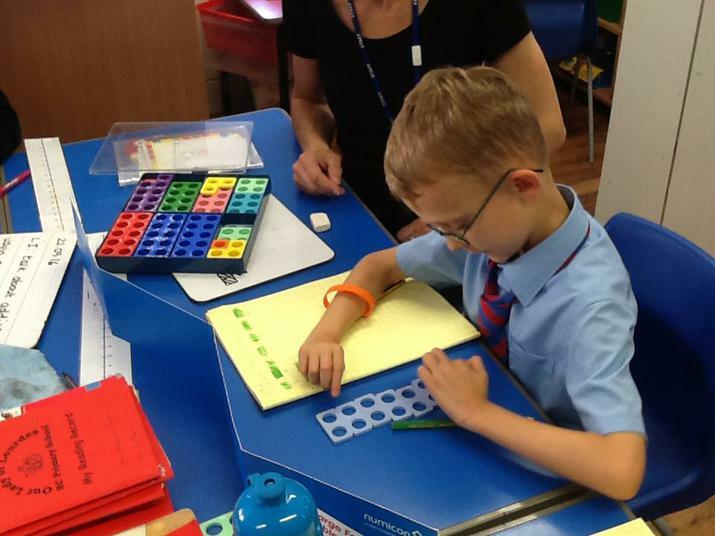 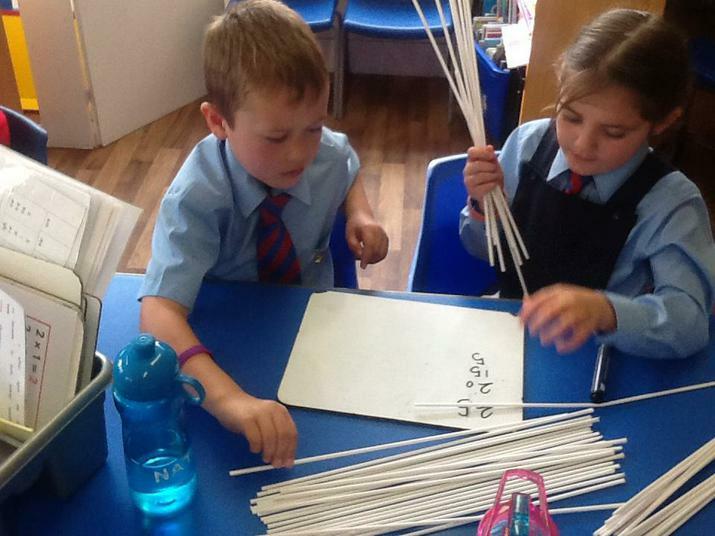 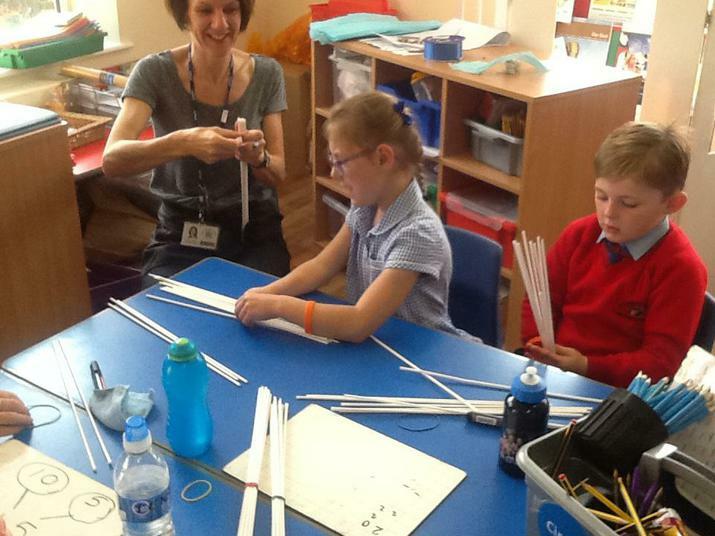 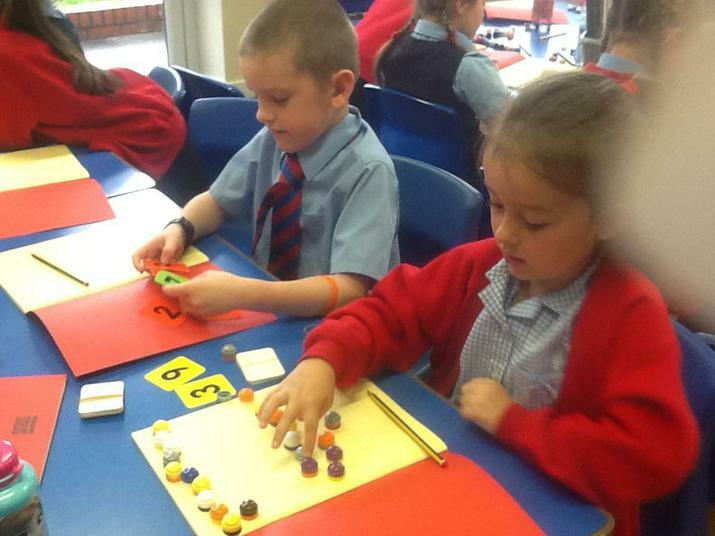 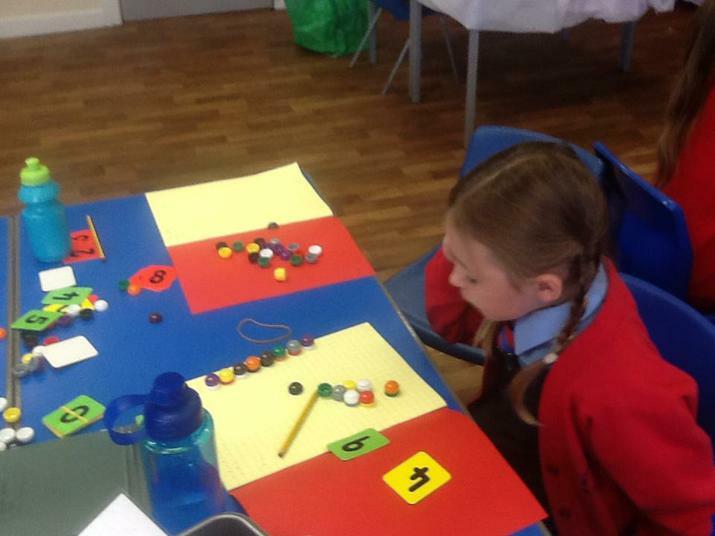 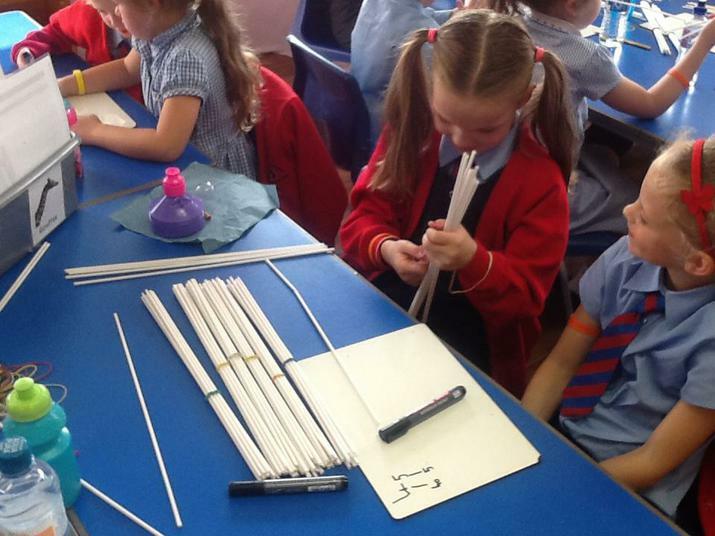 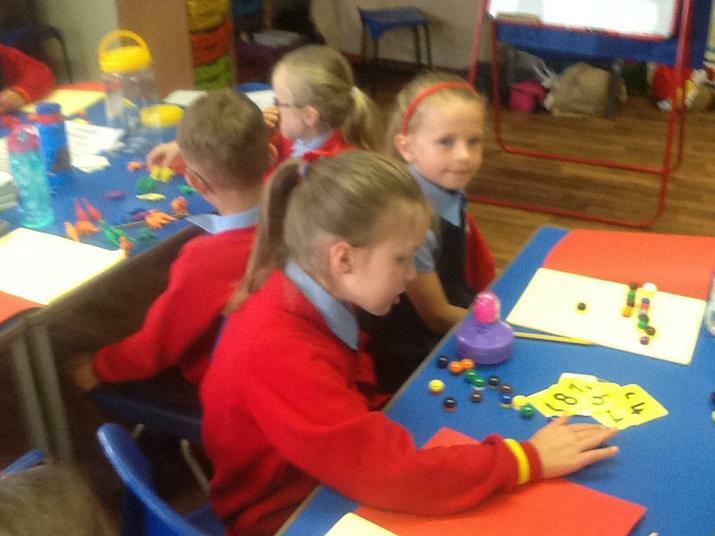 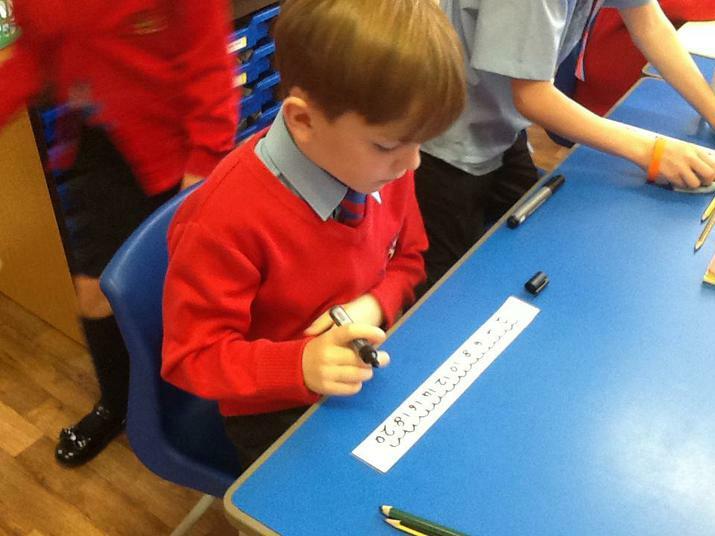 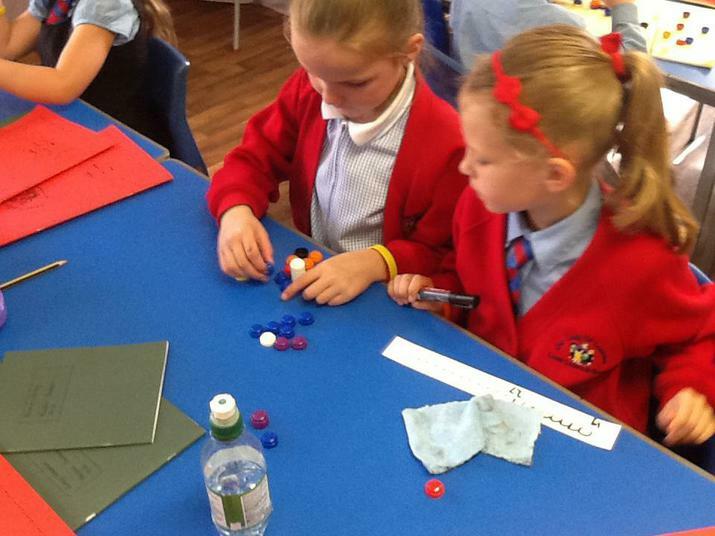 We used place value arrow cards, base 10 and numicon to partition two 2-digit numbers before adding them together. 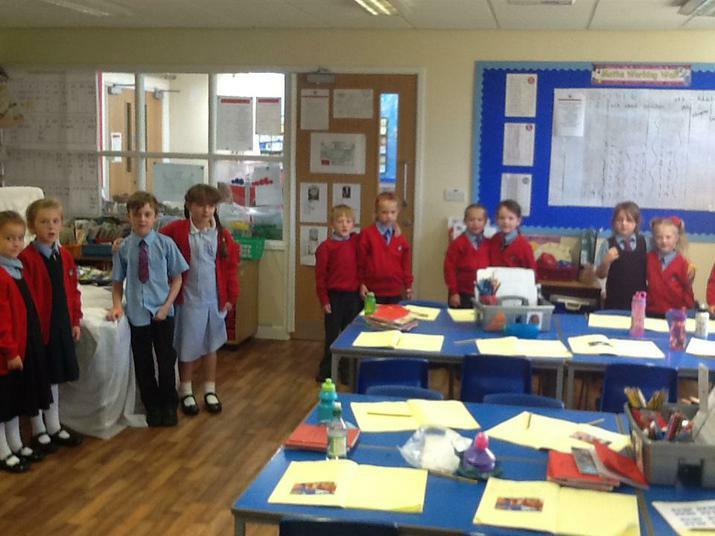 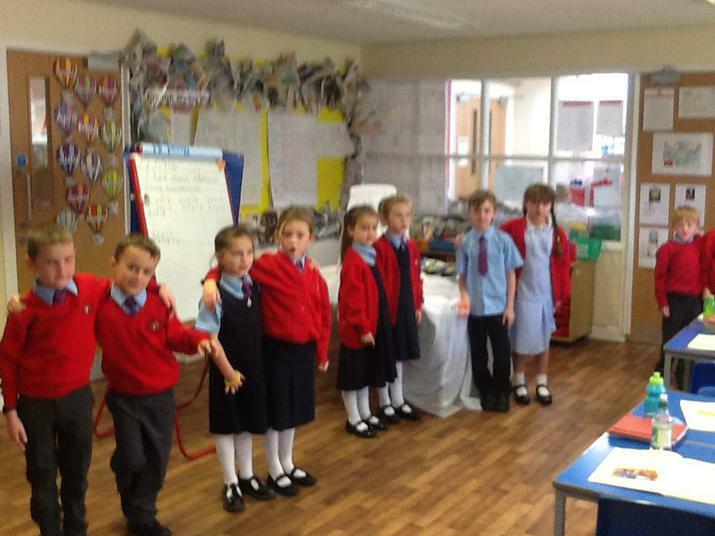 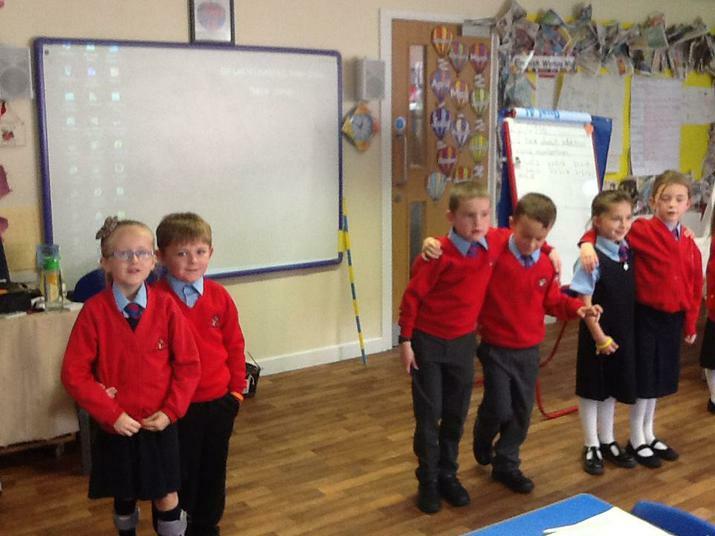 We used a human number line to understand the relationship between 2 X tables and adding another group of 2 each time. 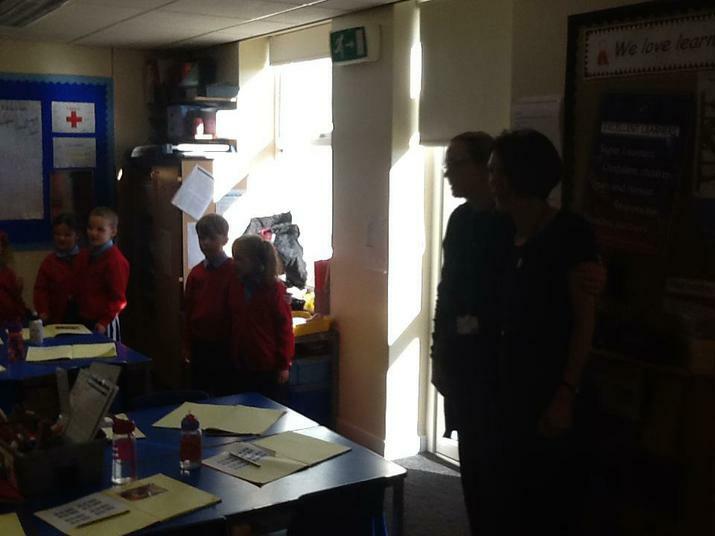 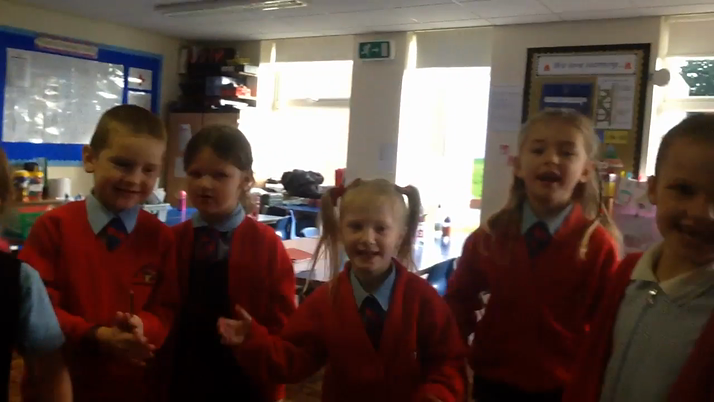 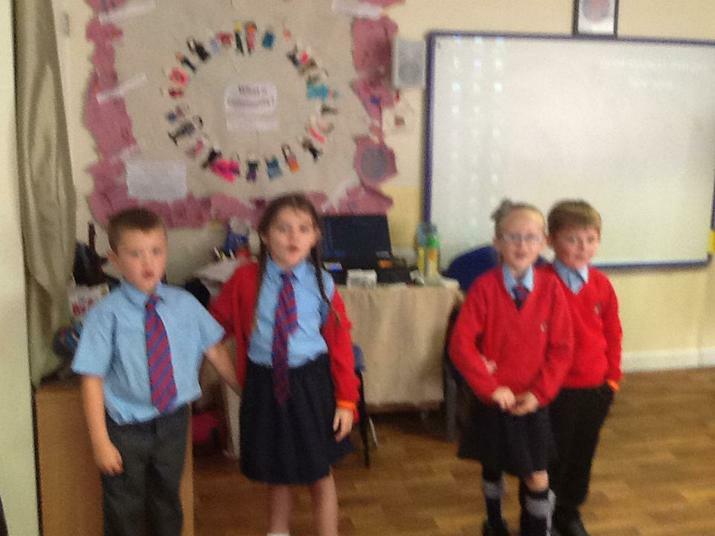 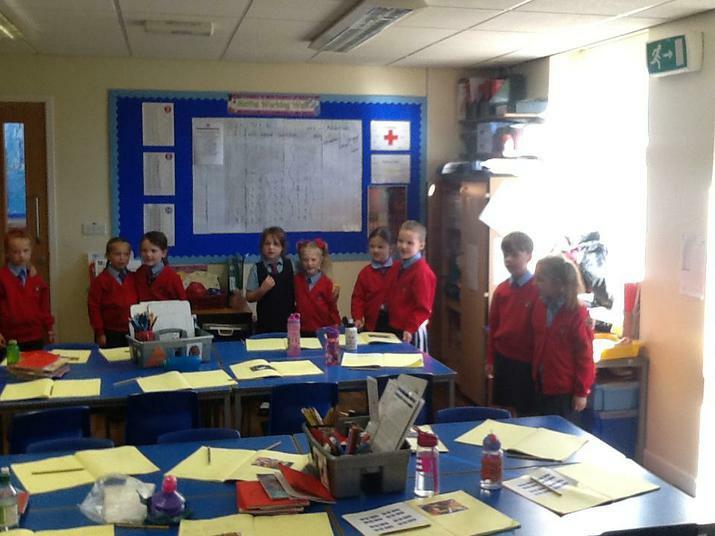 We have also been learning our 2s to the tune of 'Great balls of fire'. 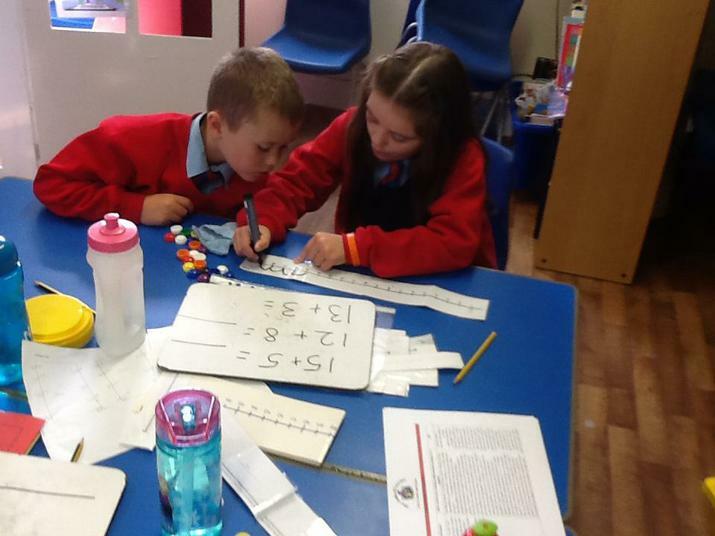 We worked practically with counters and blank number line to show how we can add a 2 digit number and a single digit number. 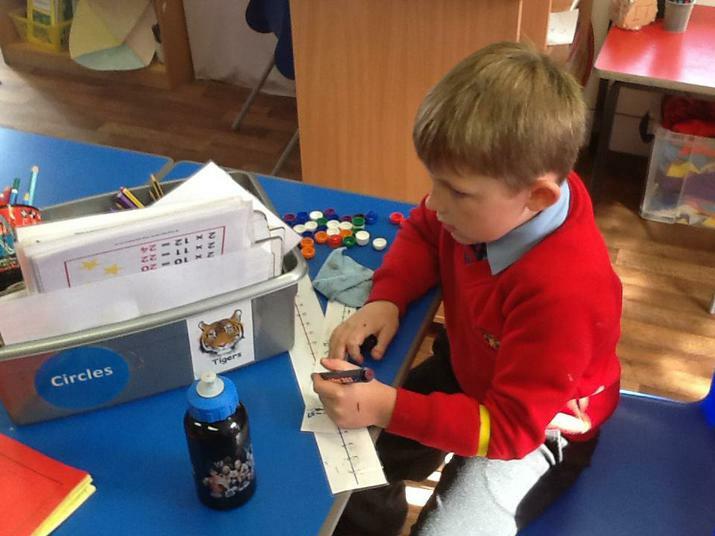 Counting in 10s and understanding tens and ones. 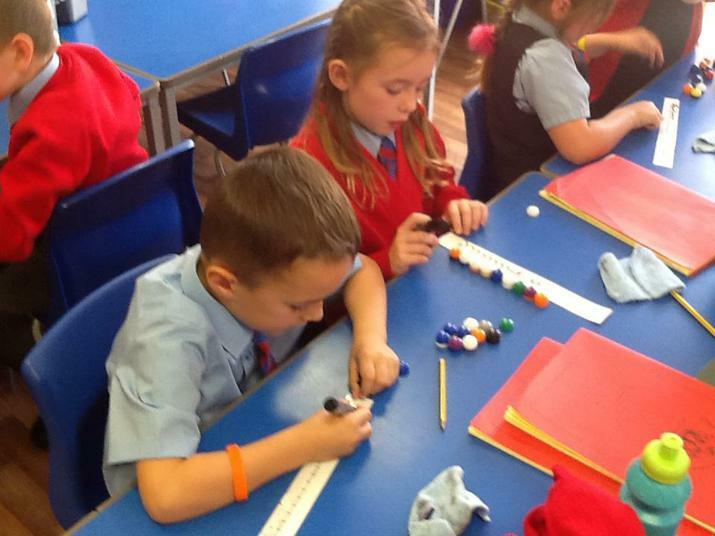 Place Value & Counting in steps of 2. 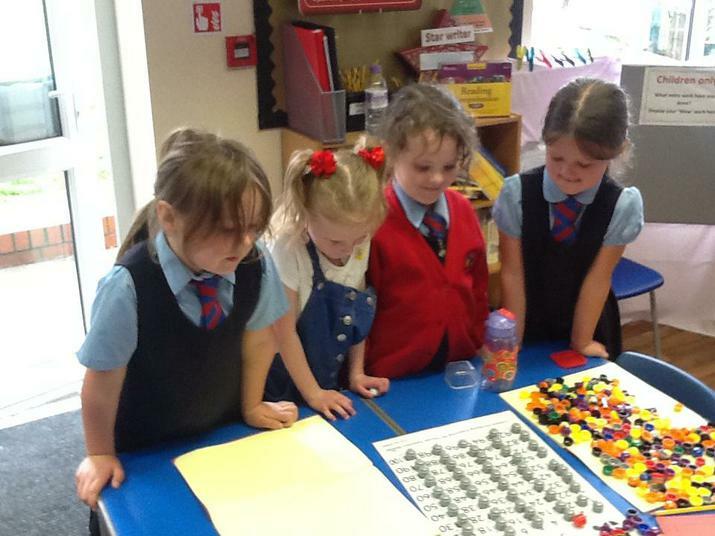 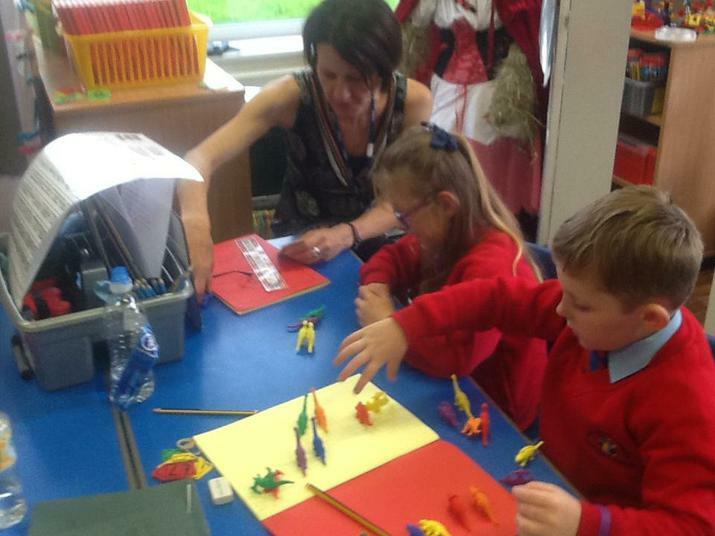 We have been using counters, dinosaurs, 100 hundred squares and a song to learn how to count in steps of 2 from any number. 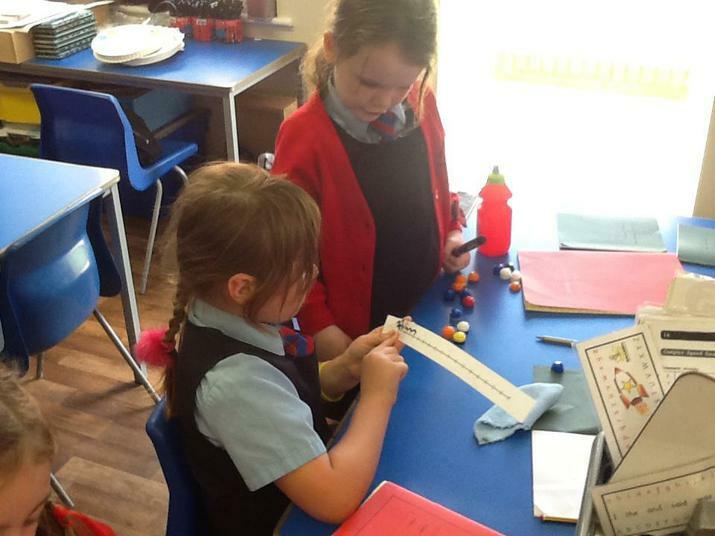 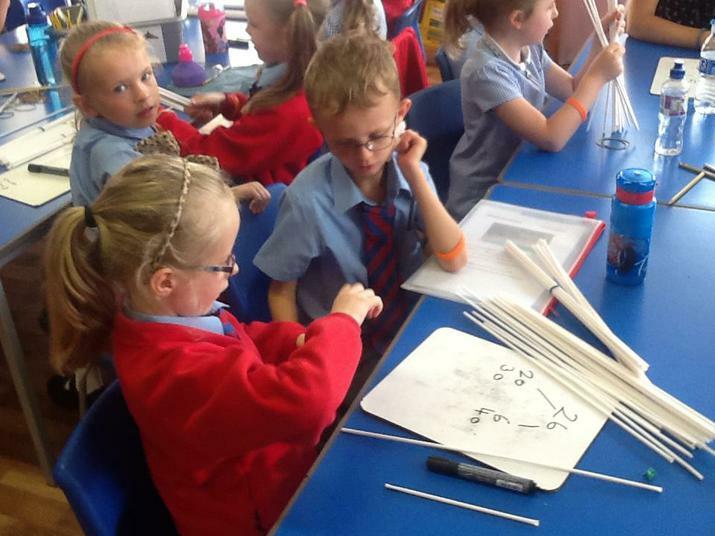 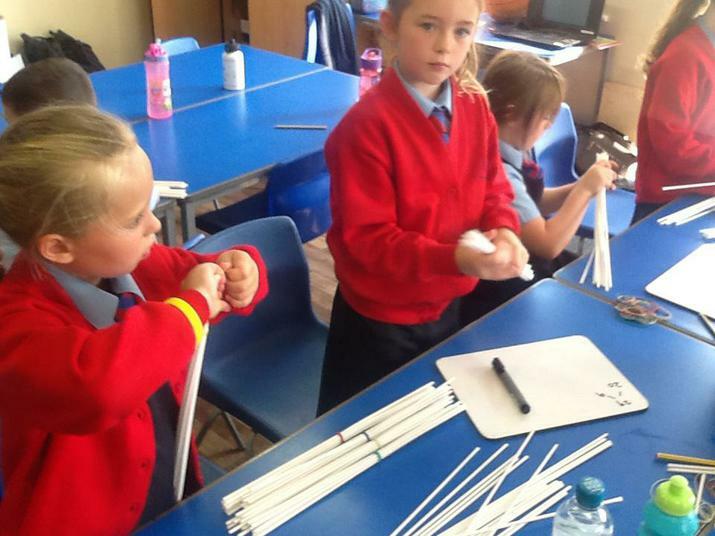 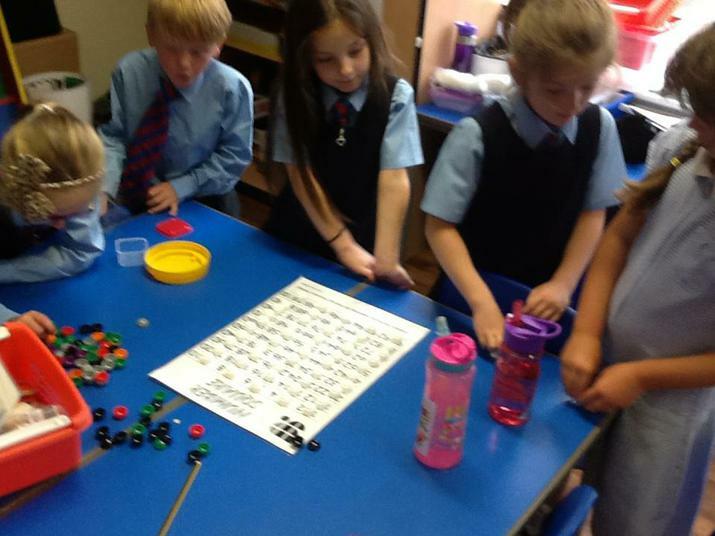 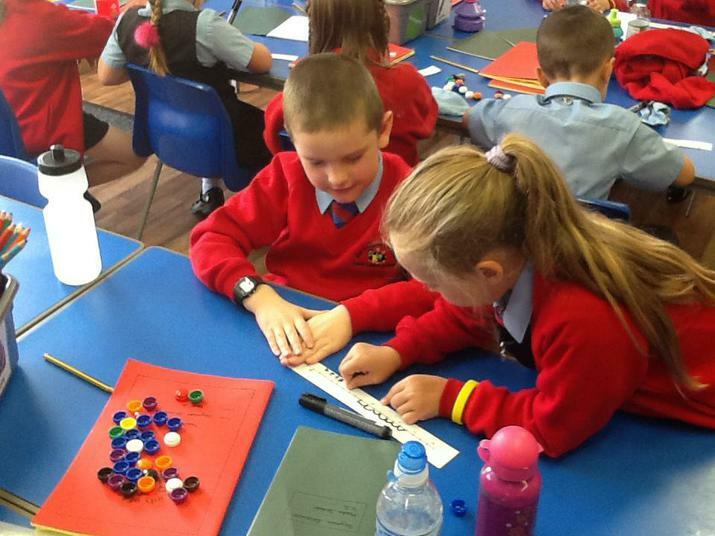 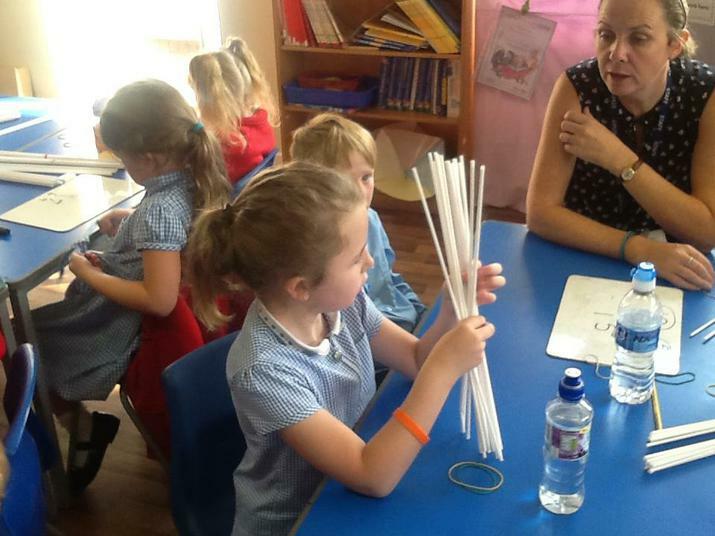 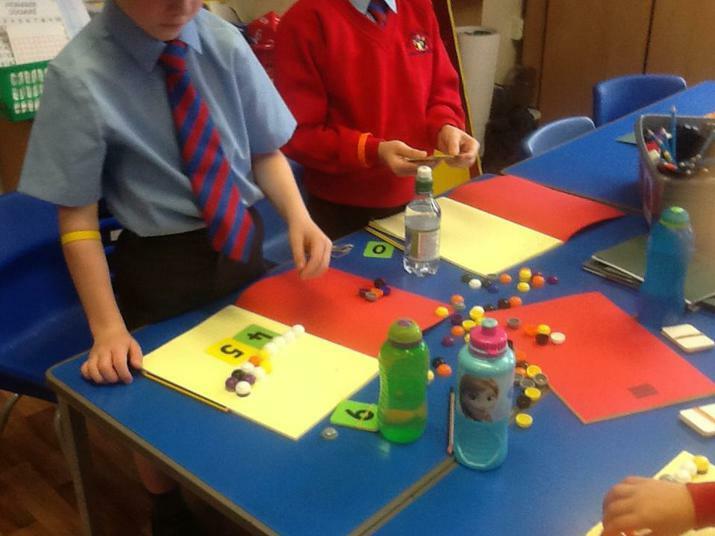 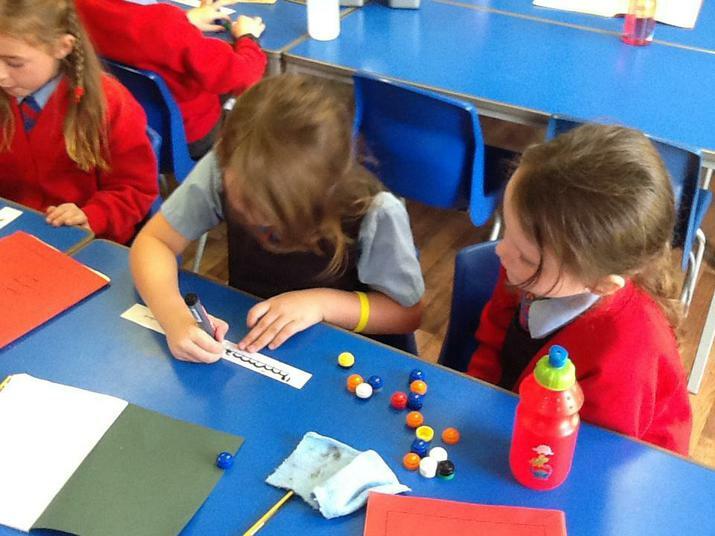 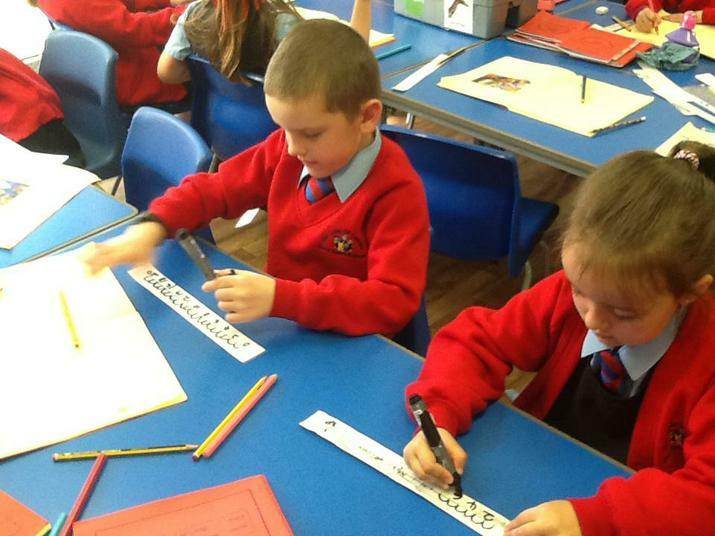 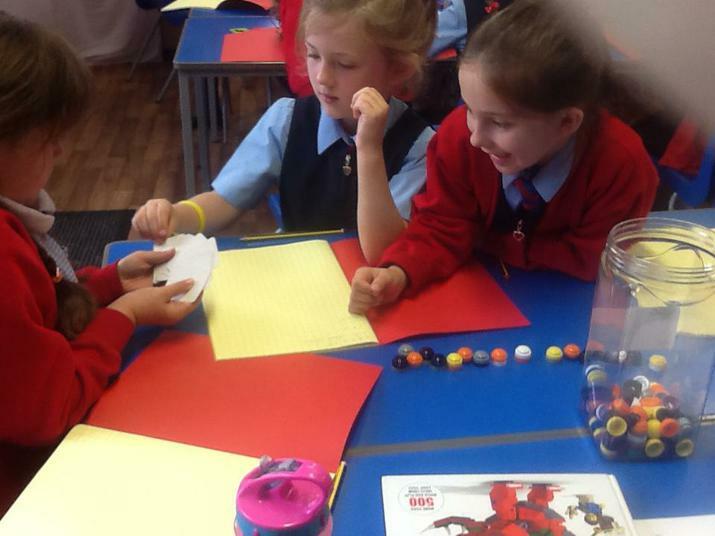 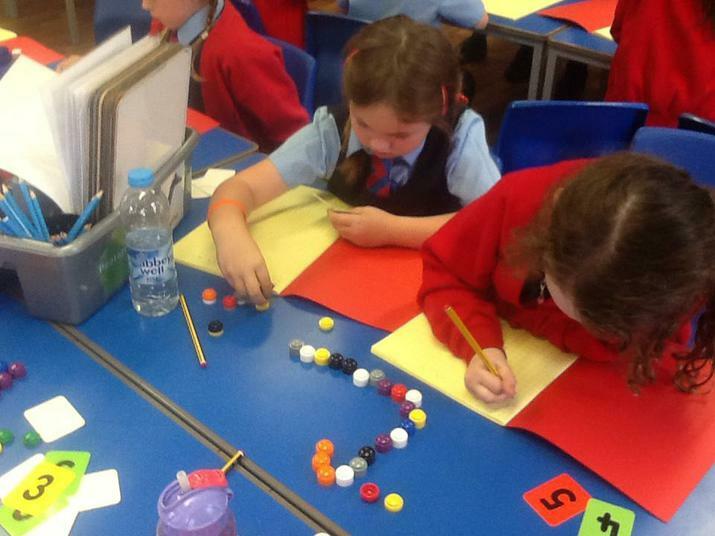 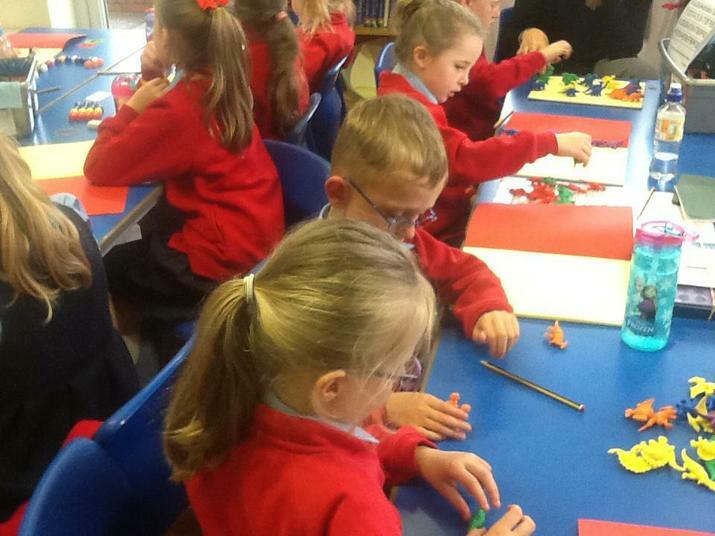 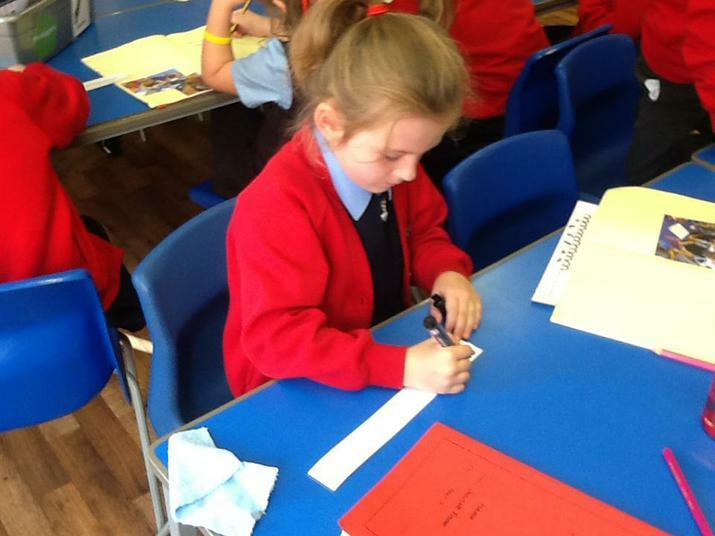 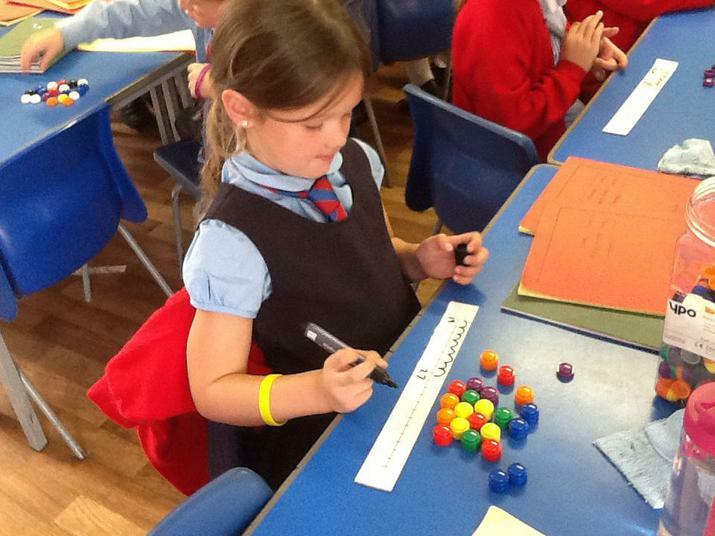 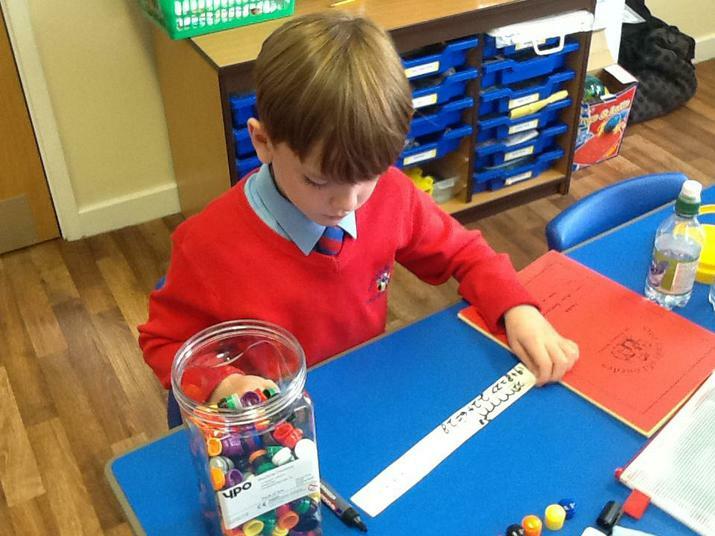 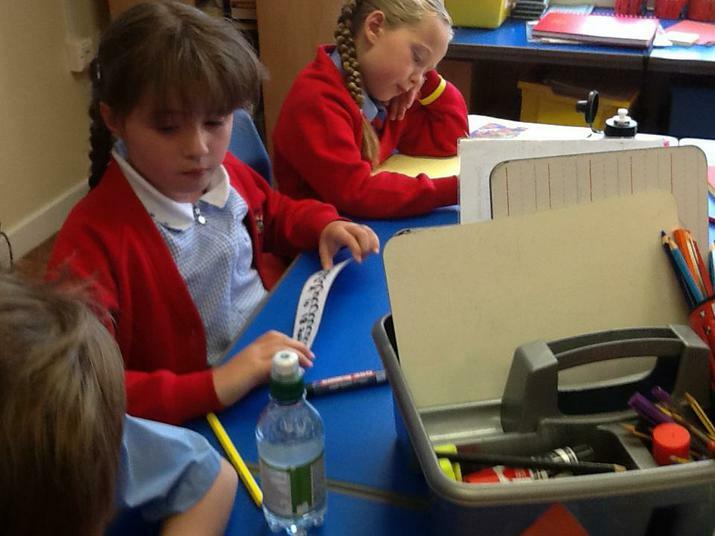 Dividing - We explored sharing in to two groups and explored odd and even amounts.